The Kathu Solar Park, in the Northern Cape, was inaugurated by the province’s Premier Sylvia Lucas, on Thursday. The project was commissioned in February. 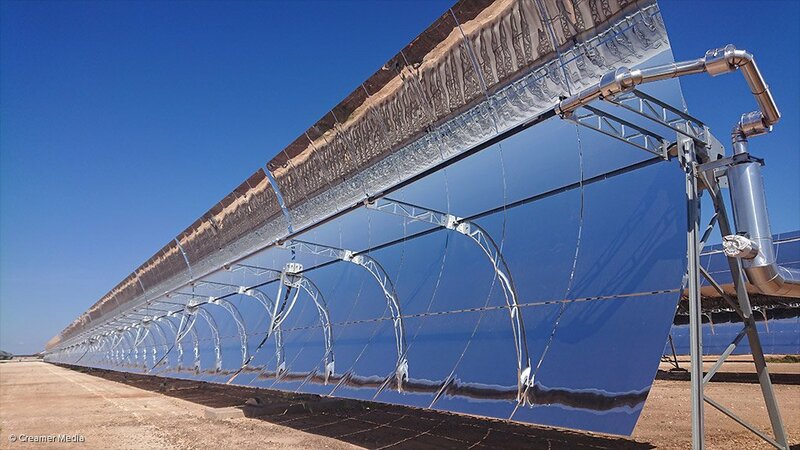 The 100 MW concentrated solar power (CSP) plant is 48.5%-owned by France multinational Engie. The balance is owned by various investors, including Investec, which contributed to the project's R12-billion investment. 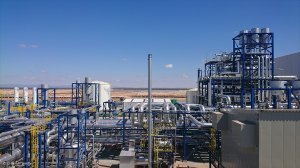 The plant marked Engie’s first CSP plant of this magnitude and is its sixth CSP plant in South Africa. This independent power producer project was built in 32 months, starting in May 2016. About 1 700 people were employed during the peak of construction, with 42% of those hired from the local community. The project will permanently employ 81 people over the next 20 years. 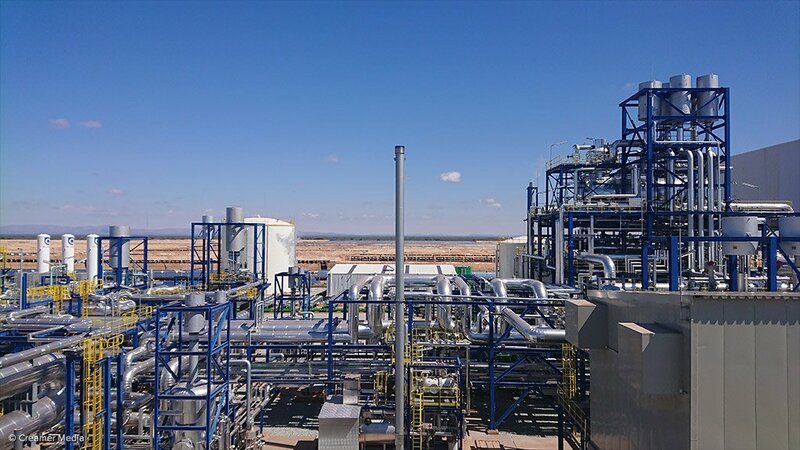 The CSP plant comprises eight solar fields, with mirrors reflecting sunlight onto tubes, which absorb the heat, before it gets transferred through a pipeline to a molten salt tank containing 47 000 t of salt to store energy. The project achieved a 43% local content mark. Kathu Solar Park was awarded under Round 3.5 of South Africa’s Renewable Energy Independent Power Producer Procurement Programme on December 15, 2014. As part of the project’s socioeconomic development plan, it will invest 1% of its revenue for the next 20 years, in advancing the local community – the John Taolo district. Kathu Solar Park already spent R8.5-million on 27 socioeconomic development projects during construction of the project. Lucas said there were now more than 20 renewable energy projects in the Northern Cape, including hydropower, wind, solar photovoltaic and CSP, making the province “the hub of renewable energy in Africa”. 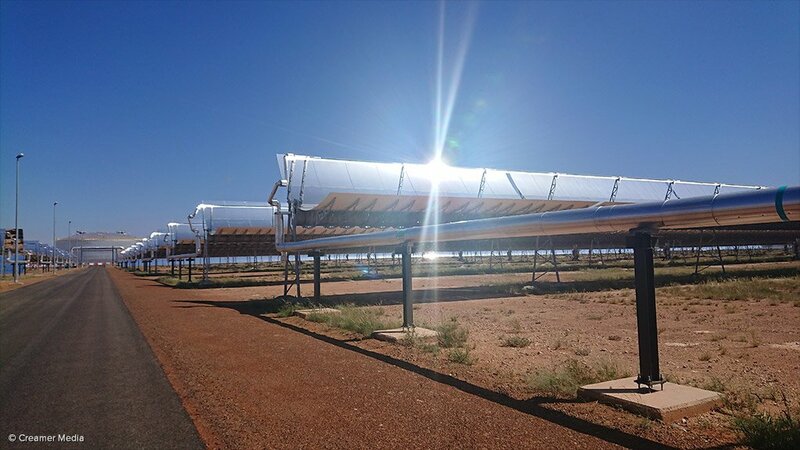 Kathu Solar Park uses parabolic trough technology equipped with a molten salt storage system that allows for 4.5 hours of thermal energy storage to provide reliable electricity in the absence of solar radiation. The parabolic trough technology is a patented optimised collector technology developed by engineering group SENER. The SENERtrough-2 collectors are designed to optimise the power storage capacity and keep costs to a minimum. At the Kathu Solar Park, 384 000 large mirrors reflect sunlight and collect solar heat to generate electricity. SENER’s innovative design ensures that the aperture of each parabolic trough reduces the cost by 30%. A parabolic trough plant comprises a significant number of solar collector assemblies which are made up of four constituent parts – a parabolic reflector (or the mirror), a receiver tube, a support structure and a tracking system. The parabolic trough collector operates by tracking the sun and focusing the sun’s rays into an absorber pipe. The absorber pipe, which is seated above the mirror along the focal line, contains a heat absorbent medium. The heat absorbent material carries energy to water in a boiler heat exchanger and the heat is used to produce steam, which drives a turbine.